Fixed or folding, it's up to you. Get as detailed as you want...sketches encouraged! manix 2 in stonewashed lc200n with a titanium handle and exposed ceramic ball bearing like the marlin spike on the tusk or dodo. The Companion is the newest fixed blade from Spyderco. Designed by forum member "Vivi," the Companion is meant to be an every day carry. 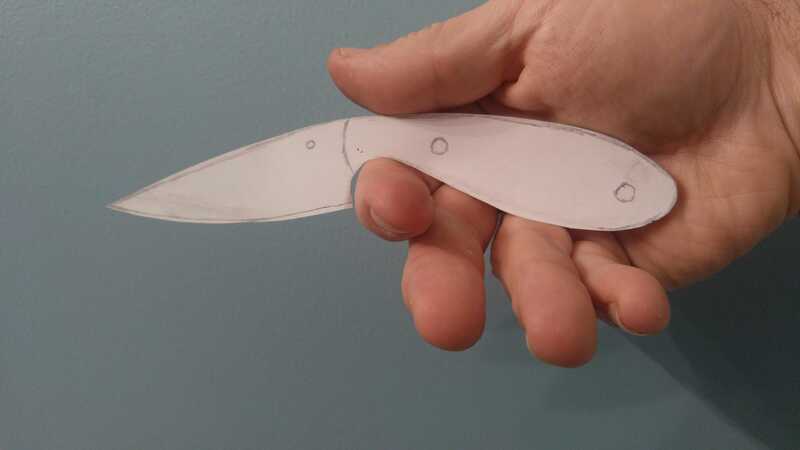 The design is as compact as possible while retaining a full sized knife feel. The scales are fully contoured linen Micarta, with a shape meant to adapt to any hand size. The deep integral guard and generous palm swell ensure a secure grip in any conditions. The blade is full flat ground from 2mm stock for unrivaled cutting performance. The M4 blade exhibits excellent toughness and edge retention. The leaf shape blade features a distinctive negative angle, giving the user enhanced leverage while slicing. The spine is fully radiused with no jimping for all day working comfort. The Companion comes complete with a fold-over style boltaron sheath & Spyderco G-clip. Alternatively, a chain can be attached to the bottom two rivets, allowing the Companion to function as a neck knife. 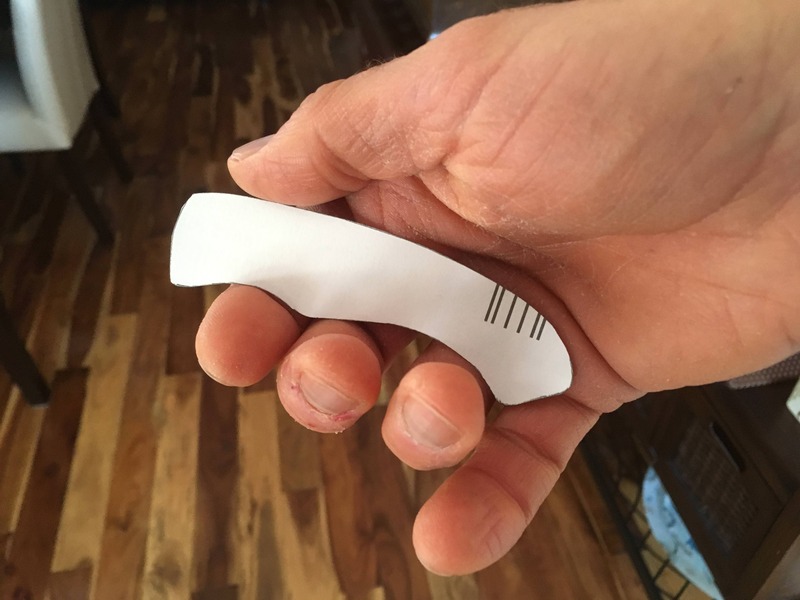 The hollow pin at the rear end of the handle functions as a lanyard hole. 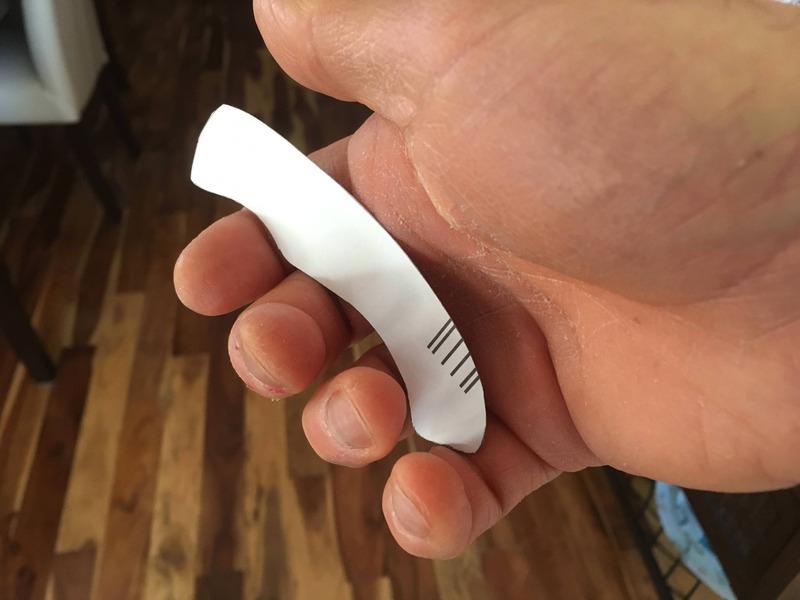 At a mere 3.1oz with sheath, the Companion is meant to be by your side at all times. Last edited by Vivi on Sat Oct 27, 2018 1:20 am, edited 2 times in total. 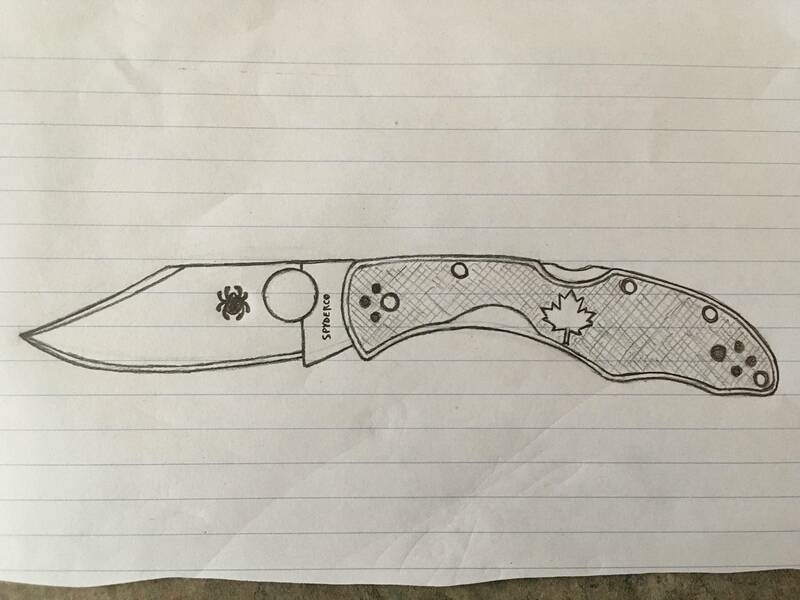 Guys I'm not asking for which sprint run would you like of an existing knife. I'm asking for original designs. My post is more what I'm going for with this thread. I understand but Jesus, haven't we got enough problems getting what we want without adding to it ? Don’t ppl get paid for this? After they get everyone to sign Non disclosure agreements! Hmm...I would make a design based off of the Advocate. 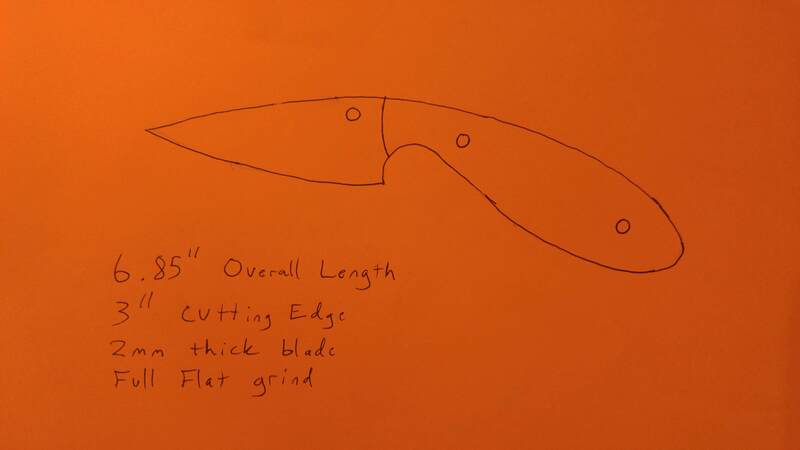 I'd make the handles partially lined G-10 with a bigger thumb hole cutout, and a linerlock after the Military style (or compression lock; either would be fine with me). 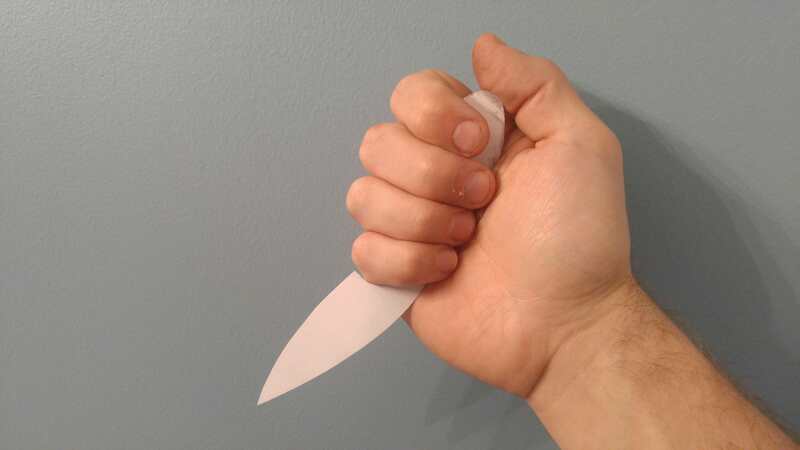 Also, I'd either bring the blade edge down closer to the finger guard, or else dispense with the flipper entirely. Probably the latter, and put a small index finger choil there instead. Oh, and also dispense with the ball bearing washers, replacing them with PB. Keep it simpler. For blade steel, LC200N, and I would be open to other options as well. 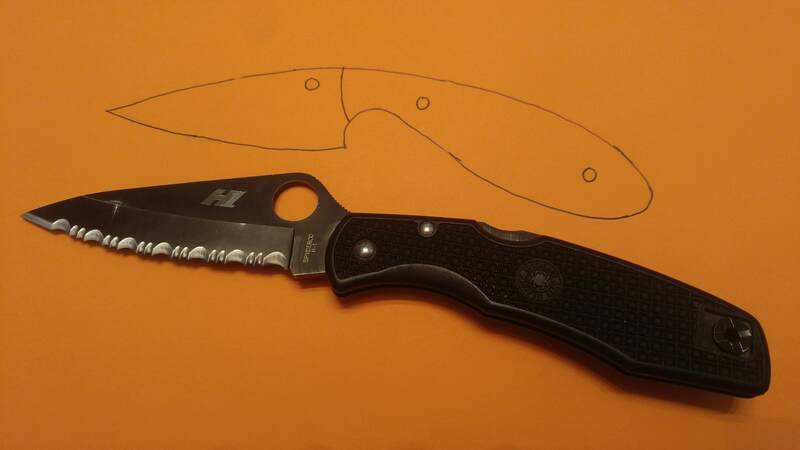 S110V, maybe serrated H-1, or for non-stainless Cru-Wear, M4, Maxamet, K390, etc. 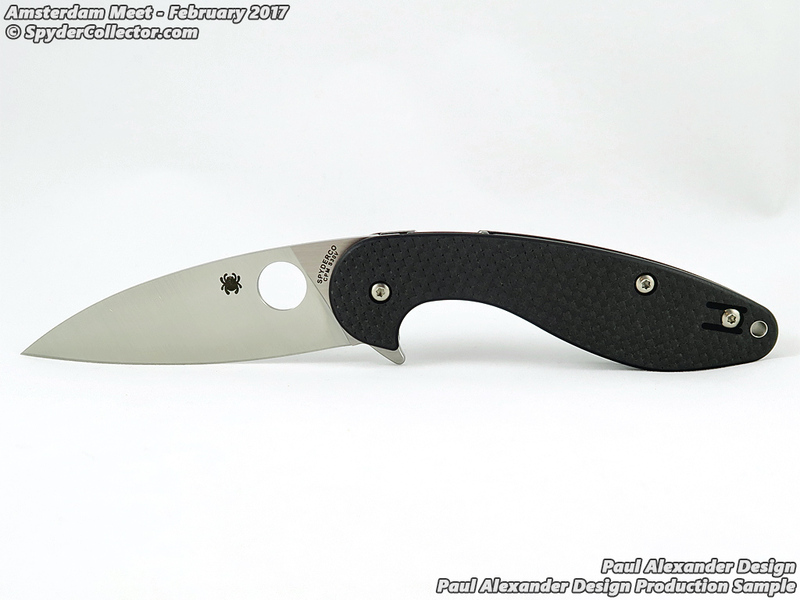 The Companion is the newest fixed blade from Spyderco. 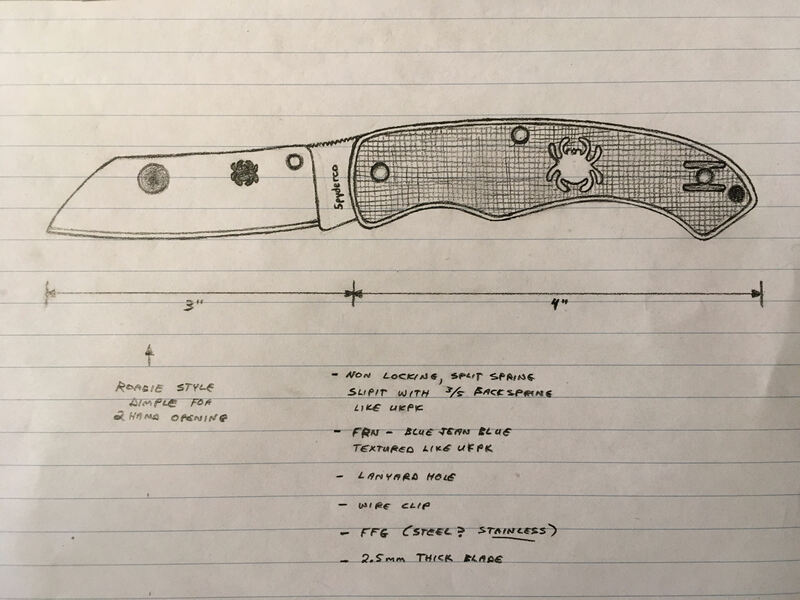 Designed by forum member "Vivi," the Companion is meant to be an every day carry. I've got a little design I've been working on. I'll have to find it. Small and pretty neutral. Handle sort of like the Double Bevel. Blade is slim and sort of like a Higo. Bulbs out in the top for studs or hole. 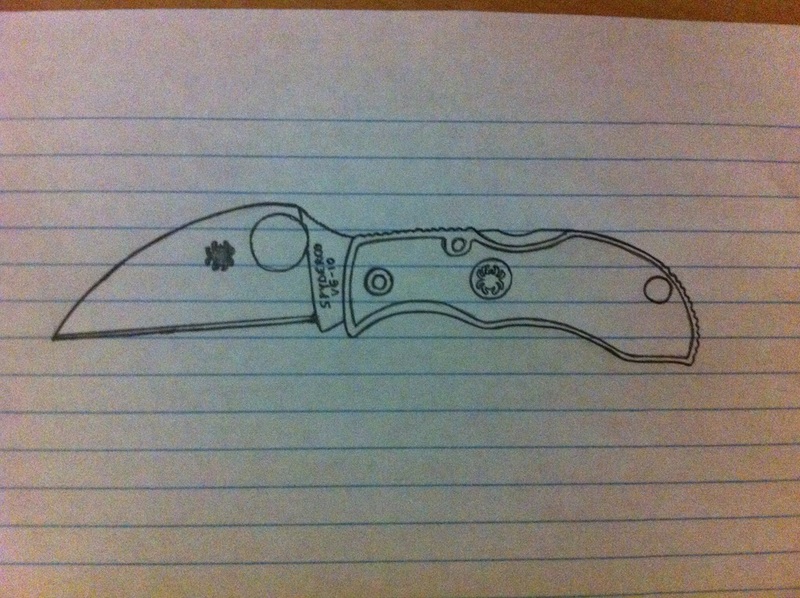 I was trying out a design on a knife that would be a spyderco ibspired slim line trapper but it didn't flow. Look jumbled. 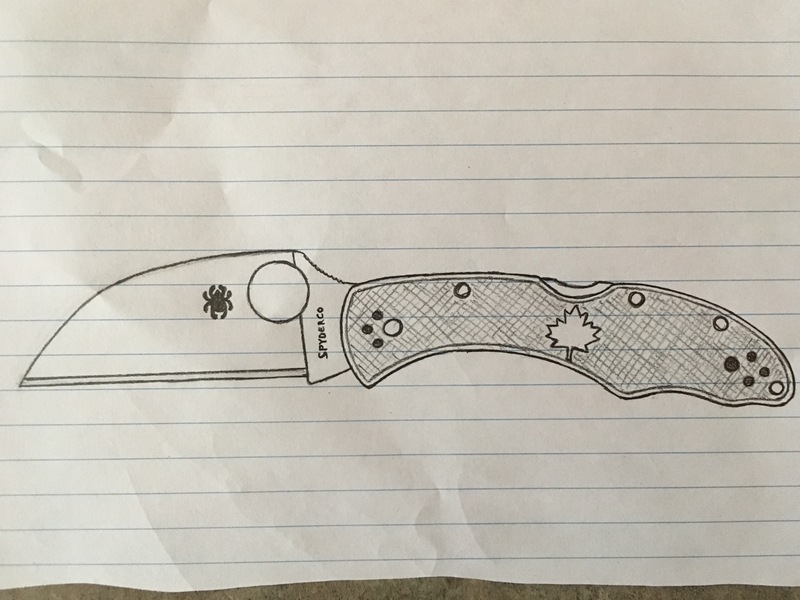 Sal asks me to design a Spyderco; and then I wake up. Jazz - I really like that Bowie lockback design. I wouldn't so much design something new as much as modify an existing model. 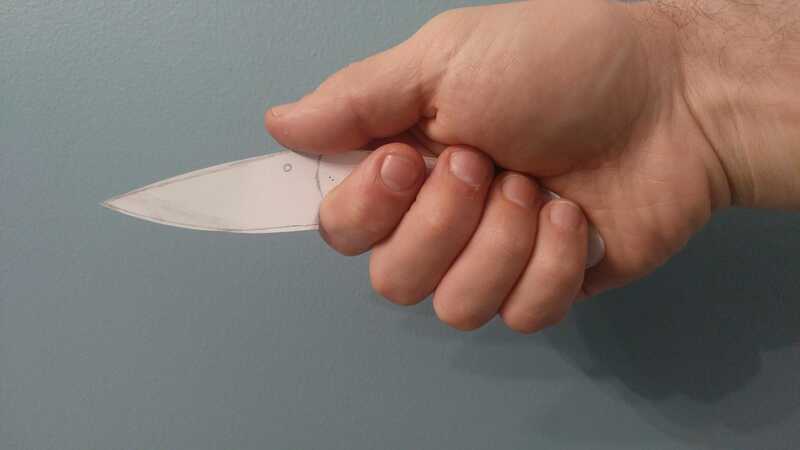 Contoured FRN scales with the Caly Jr Fish Scale texture. Seriously, would be a dream come true! I actually have a number of designs that I'm reluctant to share just yet, I'd like to make physical models of each design before I do so. I'll most definitely share when I do though! Oh yeah. That’s the stuff. Imagine the native chief with a 4.75" blade (slightly longer, slightly taller, and EVER so slightly thicker), a pivot that's twice as big, oversized phosphor bronze washers, full liners, and a Tri-Ad lock. Available in Cruwear, XHP, and K390. Whilst I do like the designs that are presented here. 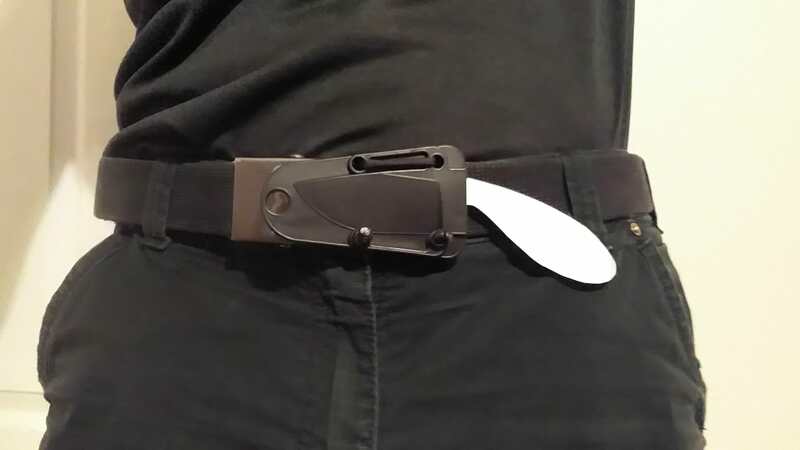 to post them means that they have less chance of ever been considered by Spyderco. 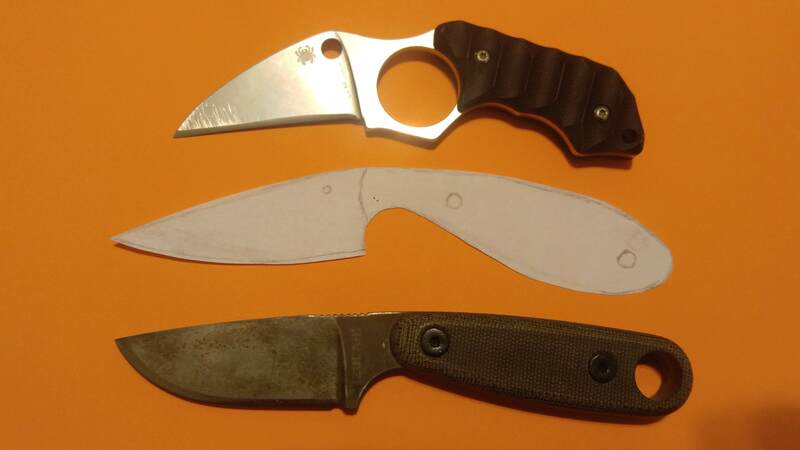 Any factory could make these designs before Spyderco has a chance to tool up, and that would be a huge risk to investment, only to beaten by someone else. 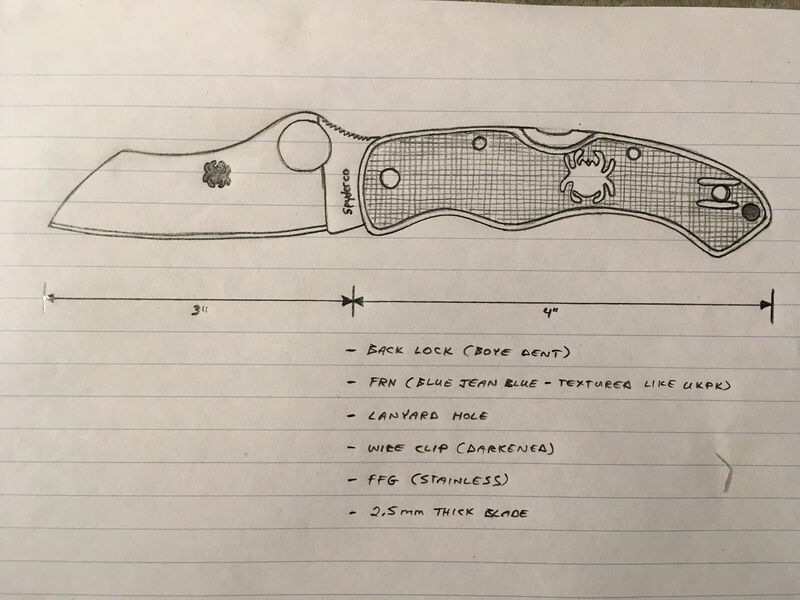 The less folk that see the design, the better for Spyderco. If, however, you are merely showing off what you like to design, and are not even thinking about a collaboration, feel free. This one, made in Canada, Earth. Used to be JR in CT with a much earlier join date. Native in 440v was my gateway Spyderco!